IGN is reporting that Six Days in Fallujah, the first game to focus directly on the war in Iraq, is finished and ready for release. The controversial title by developer Atomic Games was announced by Konami last April and cancelled three weeks later following criticism from a variety of groups and organizations. Atomic Games is a division of Destineer Games which, among other things, makes training tools for the US military. Atomic doesn't say so directly, but it appears they're looking for a publisher willing to step up and publish the game. I say it's time for a publisher to do just that. It's time for someone with vision, conviction, and cash to unequivocally lay claim to creative autonomy and freedom of expression as fundamental imperatives for games. It's time for a publisher to publicly assert, with money as its marker, that games can resonate culturally only if they're free to explore unexamined ideas and challenge our comfort zones. Plenty of people have argued on behalf of Six Days in Fallujah, citing a double standard separating games from film and television. 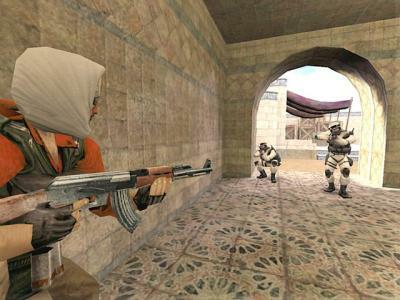 Why, they say, should games be prevented from going where films like Battle for Haditha or The Hurt Locker have gone? This is a useful observation, but it relies on the increasingly threadbare argument that games deserve to occupy the same culturally respectable space as other media. Claiming it doesn't make it true. It will never be widely seen as true until games finally elbow their way to a place at the table. No one is holding that place for us. No invitation is forthcoming. You gain your place at the table by forcing your way in and then making yourself essential to the conversation that ensues. We aren't there yet because we haven't demanded to be there. Six Days in Fallujah is that elbow to ribs. I don't know if it's a good or a bad game. I haven't played it. What I know is that the developer interviewed 70 people with intimate experience in Iraq, including returning Marines, Iraqi civilians, enemy insurgents, war historians, and senior military officials. I know they hope to convey through the player's experience an emotional and psychological arc that reflects something truthful about what happened in that battle. The game may or may not deliver on its ambitions, but success or failure are beside the point in this case. Konami didn't cancel the game because it fell short of its design goals. Six Days in Fallujah was canceled because Konami decided it had more to lose than gain by publishing it. It bowed to pressure from people who made (mostly) baseless or uninformed claims about the game. Several phrases recur throughout the criticisms leveled at Six Days in Fallujah - a game, by the way, that not a single critic has played. The most common among these are: "exploiting," "trivializing," "glorifying," and "too soon." I don't mean to diminish or overlook the suffering that many of the game's detractors have experienced. I understand their objections stem from real, heartfelt concerns. But these are the very places artists must go. There is no safe way to explore these painful issues. In fact, the safe way is the surest way to oversimplification; the surest way to telling lies. The fact that I charge an audience money to see the art I create doesn't mean I'm "capitalizing" on a painful event that caused great suffering. What fuels an artist's fire may also be the cause of human conflict or desperation. The artist is drawn to these places. He has no choice. His freedom to explore the world using the tools of his art must be assiduously protected, encouraged, and, yes, even funded. The charge that Six Days in Fallujah trivializes or glorifies horrific events will surprise no one. It stems from an assumption that games lack the capacity for any other response to violence. Games have done little to challenge that assumption, and no amount of blog posts or GDC roundtables will convince anyone otherwise. Six Days in Fallujah is an opportunity to begin tearing down that wall. If we believe games can be, or do, or say more, then we must produce those games and push through the inevitable resistance to them. If Six Days fails, we learn what can be learned from that failure, and we build the next game better. What's needed now is an enlightened publisher willing to facilitate that process, clearly articulate the stakes, and take the inevitable heat. Maybe it also means losing money. I don't know if such a publisher exists, but for the sake of dangerous games, I hope so. I've been reading the just-released Byron Review, an independent research report commissioned by the UK government on the effects of violent media on children. The study was conducted by Dr. Tanya Byron, a clinical psychologist and author of three books on child behavior - Byron is also a mother of two. As I mentioned in a recent post on the forthcoming book Grand Theft Childhood, rigorous research on the effects of video games on children continues to dispel fears espoused by alarmists, while also suggesting some reasons for concern. Though wider in scope--it focuses on children's exposure to the internet as well as video games--The Byron Review reaches similar balanced conclusions and offers a series of sensible recommendations. In relation to video games, we need to improve on the systems already in place to help parents restrict children’s access to games which are not suitable for their age. I propose that we seek to do that by reforming the classification system and pooling the efforts of the games industry, retailers, advertisers, console manufacturers and online gaming providers to raise awareness of what is in games and enable better enforcement. We need to take into account children’s individual strengths and vulnerabilities, because the factors that can discriminate a ‘beneficial’ from a ‘harmful’ experience online and in video games will often be individual factors in the child. The very same content can be useful to a child at a certain point in their life and development and may be equally damaging to another child. That means focusing on the child, what we know about how children’s brains develop, how they learn and how they change as they grow up. 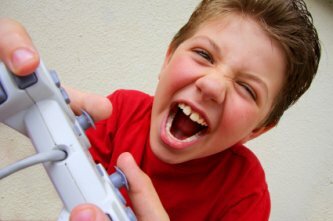 This is not straightforward – while we can try to categorise children by age and gender there are vast individual differences that will impact on a child’s experience when gaming or online, especially the wider context in which they have developed and in which they experience the technology. I'm struck by how Byron rejects the summary judgments and simplistic solutions proposed by politicians, religious figures and others who have placed themselves at the forefront of this issue. I admire her decision to place the needs of children at the center of her study, and I respect her insistence that we preserve "the right of children to take the risks that form an inherent part of their development," but also enable them to play games and explore the net "in a safe and informed way." My brief summary doesn't begin to capture the full scope of this work. You can read the full report here or an executive summary here. You can also listen to Dr. Byron discuss her approach to the study in an audio interview with The Guardian (UK). Little girls keep popping up in scary video games. The innocent bright-eyed child appears, melts our hearts...then somebody dies. Bioshock, F.E.A.R., Silent Hill, Resident Evil, Fatal Frame, Haunting Ground--all feature apparently vulnerable young girls in a survival horror setting. The Aberrant Gamer has covered this unsettling phenomenon (dare I say cliche?) in two terrific pieces you can read here and here. Well, I can report that our plucky little heroine has broken free from her confining horror genre bonds...only to be victimized yet again in a shooter game. This time, however, her presence is notable not because of her role in a game, but because of her appearance in an ad that self-consciously references the most controversial commercial in American television history. The game is Midway's Blacksite: Area 51, a first-person shooter set in sci-fi's favorite Nevada locale, to be released next week. 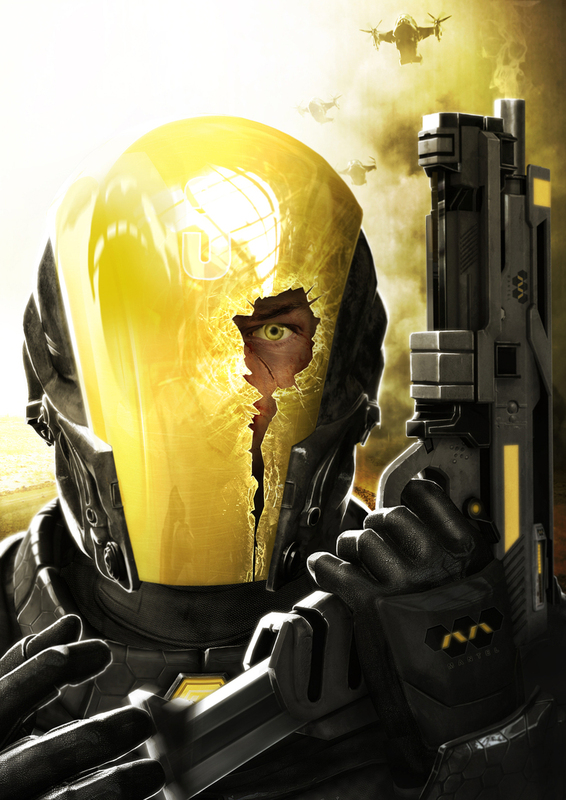 Modern day fears come to life in a familiar, yet extraordinary setting in BlackSite™: Area 51®. A small American town is swarming with alien life. The government is desperate, struggling to contain secrets so terrible, they can no longer be kept. Everything hinges on the actions of Aaron Pierce, a former Special Forces assassin thrown into the most explosive moment in American history. The game starts in Iraq. You're Aaron Pierce, this Delta Force assassin, essentially. Something happens to one of your squadmates in Iraq. You're looking for weapons of mass destruction that aren't there, of course, and then you move into small-town America...Then it just gets more and more subversive from there as Pierce figures out that the primary enemy in the game, which is being called an insurgency operating on U.S. soil, is really wounded American soldiers from Iraq who are being disappeared by the government, taken underground, and experimented on with regard to this "Army of One"-type program. So we go into the Walter Reed allusions, and the Abu Ghraib allusions, and we try to do it in such a way that won't make people vomit or whatever, but at the same time, it's definitely there. The whole theme is, "Who is the enemy? Look at the enemy -- do I look like the enemy to you?" One year, somebody's a freedom fighter, the next year they're a terrorist. A nation in fear. A highly politicized war. A government's motives questioned. Check. Check. Check. So how to advertise such a game? Why not hearken back 33 years to a time of similar fear and questioning and summon the most memorable political commercial ever to air on American television: the "Daisy" ad. It's likely that only gamers "of a certain age" will make the connection, and I suppose it's possible the similarities are purely coincidental. Regardless, I'm intrigued by the game's ambition and its willingness to address contemporary issues in a contemporary setting. It remains to be seen whether Midway can make good on its thematic aspirations while still producing an engaging shooter. My guess is that one will be sacrificed for the other. Oh, how I would love to be wrong on this one. Stick with me. I promise this will eventually get around to video games. Al-Maliki adviser Sami al-Askari told CNN the Iraqis have completed their investigation into the shooting at Nusoor Square in Baghdad...Al-Maliki and most Iraqi officials are "completely satisfied" with the findings of their probe and are "insisting" that Blackwater leave the country. Article 4.1.4 of the Geneva Convention draws a clear distinction between contractors and mercenaries. A captured contractor is to be treated as a prisoner of war, while a mercenary is deemed an "unlawful combatant" with no right to claim prisoner of war status. A contractor is considered a mercenary when he/she engages in combat. 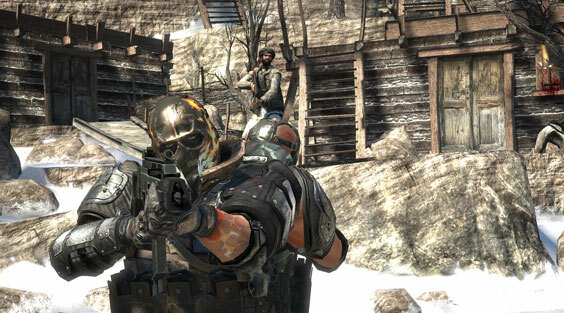 Video games have a long love affair with mercenaries. It's a natural attraction. The lone wolf on a dangerous undercover mission. Weapons, maps, stealth, strategy, shooting...pure gaming bliss: The original 8-bit Mercenary series; the Soldier of Fortune series; Mercenaries: Playground of Destruction and its forthcoming sequel; the Jagged Alliance series; Mech Warrior 4: Mercenaries...the list is a long one. That love affair may be over, at least for now. Game designers, clearly influenced by current world events, have shifted their focus from mercenaries to PMCs. In particular, three upcoming games suggest that this new focus will be a critically reflective one. Set in the year 2048 in a world where Governments have outsourced military operations to Private Military Corporations, you play a newly enlisted soldier seeking fulfillment and thrills by fighting for a good cause. As the leading PMC, Mantel Global Industries offers a high-tech arsenal of vehicles, deadly weaponry, and a performance enhancing bio-medical support known as Nectar, a nutional supplement that enables soldiers to fight harder and smarter. However, as you progress through the game, you find out that there is more to Mantel and the "nectar" than meets the eye. The game takes place over three days that will "change Shane forever." Mantel battles a guerrilla group known as The Promise Hand led by a dictator called Gabriel "Skin coat" Merino; a brutal man who wears the flayed skins of his POW camp inmates. In recent trailers, it has been revealed that Shane will switch sides over the course of the game. 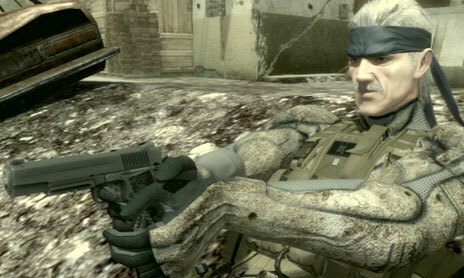 This is the first time for a Metal Gear game that the subjects have been very relevant to the time that it was being released...With MGS4, we've been doing a lot of research on what's going on recently. Recent conflicts in Rwanda, Afghanistan, Iraq, where real private military companies are being used to fight wars. And obviously there's that whole issue with Blackwater, and that controversy. This is becoming a very relevant issue. It's tough for the writers, and guys like me, who are involved with the story, because new information is coming in almost on a daily basis. We were literally days away from finalizing MGS4 story, and the text, and going to record it, and Hideo comes by our desks and says, "Did you see the news on NHK today? We've got to put that in there too. Make some kind of reference to that in the story." And we've done that. So it's very up-to-the-minute in the story, and we've been keeping watch of what's going on in the world. In his book Persuasive Games: The Expressive Power of Videogames, Ian Bogost argues that games have the power to mount arguments and influence players. They can "disrupt and change fundamental attitudes and beliefs about the world, leading to potentially significant long-term social change." I agree. In a mature medium, artists convey what they see and think and feel into a vehicle of subtle expression. Maybe one of these games will transport us in such a way. My money is on Kojima. Oh, did I just refer to video games as art? There I go again. Gameology is an intelligent and respected blog devoted to news and commentary for the game studies community. Zach Whalen, one of the key contributers to the blog, is a Brainy Gamer subscriber and was kind enough recently to include my site on the Gameology blog roll. I have assigned Gameology essays to my students in the past and have always appreciated the positive ways they have provoked my students to think about video games. Zach's most recent Gameology post includes details of a threatening letter he received from an attorney representing Left Behind Games, Inc., developer and publisher of the Left Behind series of video games based on the best-selling books. 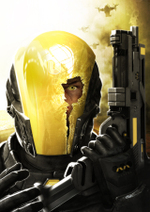 Gameology, along with many game review sites, panned the game and its "convert or die" gameplay premise. Left Behind Games Inc. is demanding that you immediately remove any and all information contained on your site about the above stated game that is false and/or misleading, including any such statements or commentary and the responses thereto. This includes posted comments made by others in the context of reading the incorrect or misleading statements. If you do not comply immediately, the company will be forced to pursue additional legal action which will include claims for damages, costs of suit and attorney’s fees. This may subject you and your organization to significant legal and financial damages. It appears Zach isn't the only blogger who panned the game to receive such a letter. You can read more about others contacted with more details on the story here and here. I have read all of Zach's Gameology posts on the Left Behind game and can find nothing but solid critical writing. Zach's opinions of the game and the ideology that spawned it are clearly articulated. He objects to some of the fundamentalist tenets espoused by the game, and he explains why they concern him. In other words, he functions as a critic. 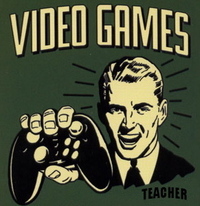 The Brainy Gamer strongly supports Zach Whalen and the entire Gameology crew. I encourage others to do the same and respond to Left Behind Games Inc. in whatever way you deem appropriate. Han Zhen, a tactical instructor of Tianjin police, found the game very helpful. "Given its close resemblance to real-life scenarios, the game greatly enhances the terrorism awareness of our officers," the five-year veteran gamer said. "And it is very important as terrorism has become a global issue. "In particular, it trains our officers in the use of weapons and taking advantage of different terrains, and is also a test of mental strength in a duel with a terrorist," said Han. Above him a red banner proclaimed: "Enhancing police forces through technology". When they get their hands on Halo 3, the police will apparently be ready for anything that comes at them from now until 2552. Thanks to GamePolitics for the heads-up. Pressure to mount a crackdown on violent video games is heating up in the United Kingdom. As we've seen here in the U.S., blaming video games for all manner of social ills can get you a lot of attention, as the continuing prominence of anti-game industry fanatic Jack Thompson proves. Despite the absence of conclusive data or scholarship proving a link between violent behavior and video games, politicians from both ends of the spectrum continue to jump on the reckless bandwagon. This time it's conservative party leader David Cameron applying pressure on Prime Minister Gordon Brown to regulate video game content. Meanwhile in San Francisco, State Senator Leland Yee continues his apparently endless campaign to write laws into the California state code that will later be found unconstitutional. Gamepolitics.com has details on both stories, including a video of a television news report on the Manhunt 2 controversy that illustrates how little light the news media generally sheds on this complex subject. You can find their stories here and here. Update (Sep. 6): Jack Thompson has filed documents with a federal court in Florida requesting to subpoena President George W. Bush. I'm not kidding. Thompson apparently wants Bush to give a deposition as part of his legal fight to help preserve his license to practice law and fight off ethics violation charges against him. The saga continues.